The deadline for submission of workshop proposals for the AAL Forum 2019 has now passed. A huge amount of interest has been shown in sharing knowledge about the implementation of welfare technology, with a record number of 71 abstracts submitted. At the AAL Forum, key stakeholders involved in healthy ageing gather to discuss and plan the future of ageing well in a digital world. The forum welcomes industry, start-ups, academia, experts, social care providers, and end-users from across the entire active and assisted living sector in Europe. The organisers expect up to 1,000 delegates at the forum in 2019. Smarter practical implementation of digital technology to enhance active and healthy living. Part of the programme consists of 24 workshops. These will be selected from the 71 applications from countries across the globe, including Angola, China, the US and many European countries. They have proposed workshops that focus on either the overarching forum topic of smarter and better implementation, or one of the following themes: Age-friendly societies, Data for better lives, Overcoming market barriers in the Silver Economy, Seniors at the workplace, and the open workshop category with no thematic area. On 11-12 April, the Committee Members of the AAL Forum 2019 will meet in the Portuguese city of Coimbra to select the 24 workshops, which will be part of the official programme of the forum in Aarhus. The AAL Forum this year aims to showcase how successful implementation can support health and care, telemedicine, rehabilitation, mobility, vitality, leisure, and more. The organisers of this year’s forum are Aarhus Municipality in collaboration with the Active and Assisted Living Programme (AAL Programme), which is an EU initiative addressing the needs of the ageing population by developing digitally based solutions to improve quality of life for older people. 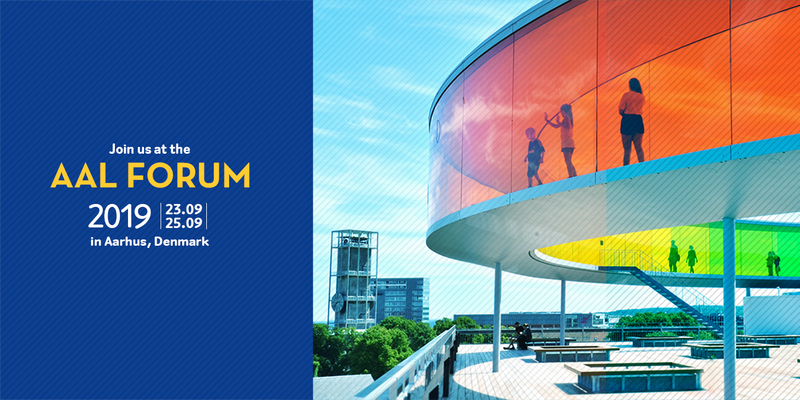 AAL Forum 2019 takes place from 23-25 September at the Aarhus Congress Center in Aarhus, Denmark. Register to the AAL Forum 2019 here, and don’t miss out.